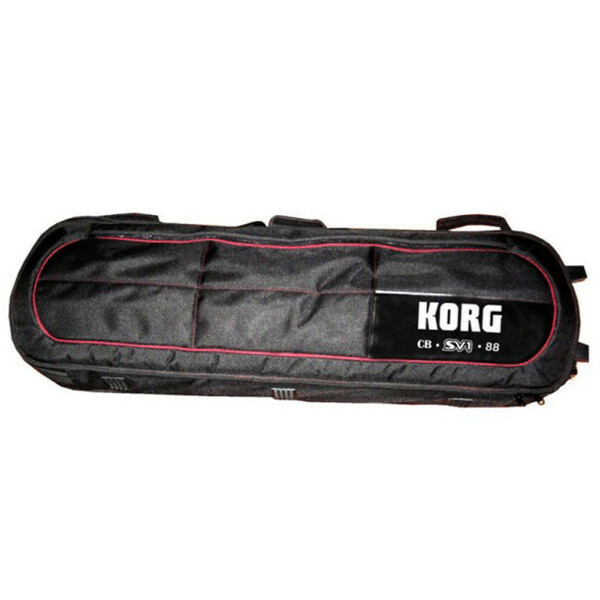 Korg CB-SV-88 Carry Case for SV1 includes pockets to hold the stand, pedal and cables. The wheels allow the case to become a trolley for easy and quick transportation, whilst keeping the SV1 safe and secure with its padded interior. Please note, stand, pedal and cables not included. Korg's pianos offer superb, authentic piano sounds and the simple and easy-to-learn controls ensure that your performance is never disrupted. Korg's digital pianos never require tuning, allow quiet playing through headphones, and come in a range of colors and styles to complement any music space. For over 40 years, Korg has excelled in creating electronic musical instruments that satisfy musicians around the globe.